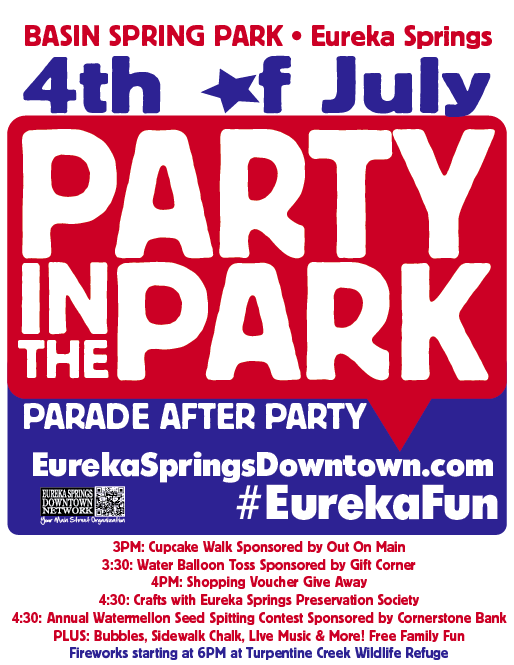 Celebrate Independence day with Eureka Springs 4th of July Party in Basin Spring Park! Cupcake walks, water balloon toss, crafts, give-aways, live music and more! Test your seed spitting skills at the Eureka Springs Annual Watermelon Seed Spitting Contest. Eureka Springs 4th of July Celebration is a Family Friendly event in Basin Spring Park starting at 3pm. 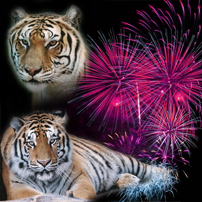 After the party, head out to Turpentine Creek Wildlife Refuge for the 16th Annual Independence Day Celebration with fireworks starting at 6pm! 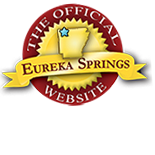 Follow what happening @ #EurekaFun and keep up with Eureka Springs Downtown Network for things to do in Downtown Eureka Springs. This entry was posted on July 3, 2013 by estcblog in Festivals, Fun Downtown, History, The Great Outdoors, Things to Do and tagged Arkansas, downtown, Eureka Springs, Eureka Springs Arkansas, historic downtown, Outdoor.